Don't Make the Common Mistake of Missing These Important Steps! A fire sprinkler system freeze up is not only dangerous, but incredibly costly. When temperatures drop in the winter weather, your fire sprinkler system pipes are susceptible to freezing and bursting, and might not work in a fire emergency. 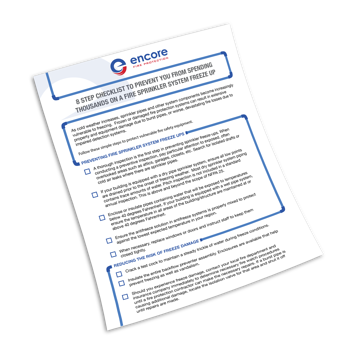 Fill out the form to the right to download the checklist and prevent your fire sprinklers from costing you thousands this winter.